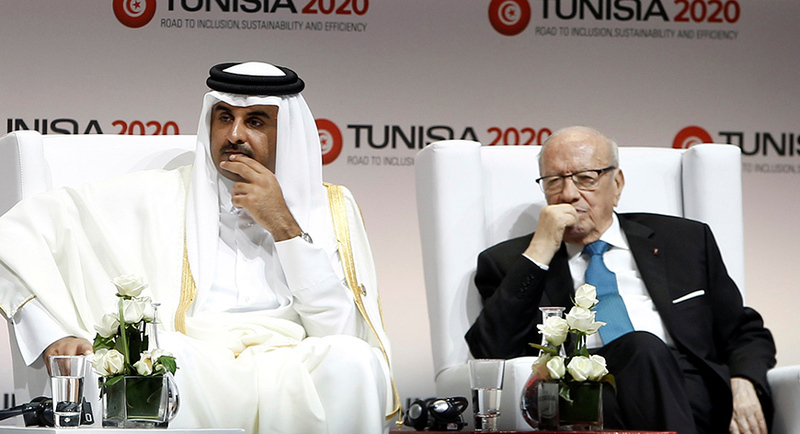 Head of communication of the Qatari government has rejected claims that Qatar supports Muslim Brotherhood in the Arab world, mentioning as an instance the Tunisian Islamist party Ennahdha. He told the Los Angeles Times that his country did not work with Ennahdha as a side or an individual but as a Government and that Doha also worked with the opposition Nidaa Tounes party when it came to power. “They accuse us of supporting the Muslim Brotherhood. For example in Tunisia, after the Arab Spring, the government that came into office was from the Muslim Brotherhood. We worked with them once they became the government. We did not work with them as a party. We worked with them as a government, to support them,” said Sheikh Saif bin Ahmed al Thani, director of the government communications office in an interview with the Los Angeles Times’ editorial board and reporters. Qatar has been isolated by its Guld neighbors and other Arab countries for backing terrorism and lending support to Palestinian Hamas movement, Lebanon-based Shia movement Hezbollah, and Egyptian Muslim Brotherhood movement. Qatar has rejected the claims saying that the accusations were fabricated and are meant to undermine its image. “After that, the opposition party won…. [And] we are the ones working with them. We did a conference last year in support of Tunisia, supporting investment. We established a fund for small and medium businesses,” the Qatari official said. End of last week, a documentary aired by the United Arab Emirates-based Saudi media Al Arabiya blamed Qatar and Ennahdha for sending Tunisians to conflict zones namely in Syria, Libya and Iraq. Over 3,000 Tunisians have travelled to the conflict zones to join ranks of terrorist groups including the Islamic State group (IS). Written by: KanelkaTagba on August 29, 2017. Posted by KanelkaTagba on Aug 29 2017. Filed under Headlines, World News. You can follow any responses to this entry through the RSS 2.0. Both comments and pings are currently closed.